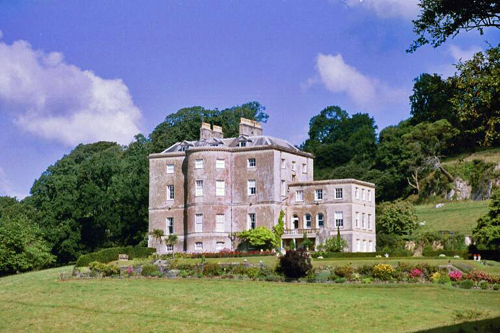 The present Penrice Castle was built in the 1770s by the neo-classical architect Anthony Keck for Thomas Mansel Talbot of Margam and Penrice. It is Grade I listed and one of the finest country houses in Wales. Over the years I have helped with paint colour and technical matters. It was at Penrice that I first became aware of the curious phenomenon that occurs when a Brunswick green-painted surfaces is exposed to the weather – it goes blue! I have called this the “Penrice Effect”. I have written about this here and have since encountered it on various other projects. 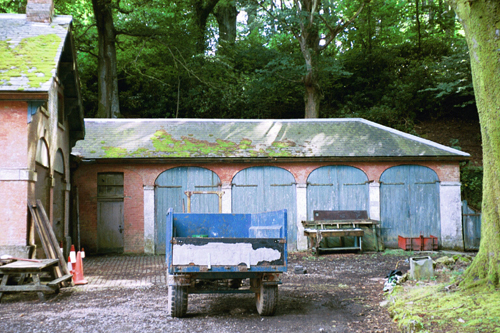 The so-called “Hidcote Blue” produced by another paint company was in fact green. My family and I have enjoyed a number of holidays in various cottages on the estate.